I have waited a couple of days to post about the “relaunching” of Delicious … primarily because I had such a visceral reaction to it… as the image to the left illustrates. The old Delicious was my gateway drug into Web 2.0. Through Delicious, I began in 2007 to connect with colleagues (dare I say “friends”) worldwide who shared similar interests to mine, such as Gabriela Grosseck in Romania, Eduardo Peirano in Uruguay, and Michele M. Martin up in Pennsyvania. Our connections have evolved over time (as has Web 2.0), so that we continue to connect through our blogs, Twitter, Slideshare and Facebook, but Delicious is where I first made the network connections. I found Delicious personally very useful. I could get to my web bookmarks on any computer. I could in effect organize the web, bundling bookmarks around themes. I could add colleagues (and students) to my network and follow what they were bookmarking. I could use it as a vetted search engine to find resources that others worldwide had located. Through class tags, I could share web resources with my students. At Gabriela’s urging, I experimented with the use of Delicious in my online class, and presented my results at eLearning 2008 and in the online journal edited by Gabriela – “Instructional Uses of Social Bookmarking: Reflections and Questions.” (REVISTA de INFORMATICA SOCIALA, pages 28 – 39). One of the more useful features of the old Delicious was the ability to set up RSS subscriptions around networks or tags. I like to know each day what individuals whose tagging practices I value were curating off the web. 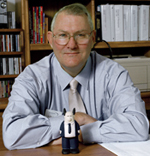 By adding people like Jeff Nugent, Jon Becker, Alexandra Pickett, and Gardner Campbell to my network and then subscribing to the My Network feed, I automatically built an amazing intelligence and environmental scanning process. It piqued my interest to know what they found interesting. When the term “edupunk” first surfaced, a subscription to the Delicious tag “edupunk” siphoned from the web a very interesting collection of sites. Every morning, email is the first thing I check…but Google Reader is the second, and Delicious was an important component of my Google Reader aggregation. 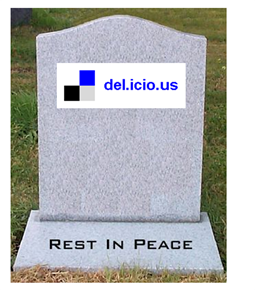 Delicious was originally launched in 2003 and acquired by Yahoo! in 2005. I joined in 2007, and by the end of 2008 according to Wikipedia, I and my public links were part of a global network of more than 5.3 million users and 180 million unique bookmarked URLs. The site was sold to AVOS Systems on April 27, 2011 – which was exciting in that Chad Hurley and Steve Chen of YouTube fame were involved. This week, Delicious was relaunched in a “back to beta” state. Delicious was one of the first sites explained by Lee Lefever of Common Craft – a great explanation “in plain English” of social bookmarking. The relaunched Delicious has invalidated much that Lee explains. With the flip of a switch, Delicious went from a must-have tool in my digital toolbelt to just another web site. My 5,547 links are still there. I think ….but am not sure … that my tags are all still there. My bundles are gone. My networks have now become friends but what they are doing collectively has disappeared. RSS functionality is gone, replaced with a Facebook like sharing function. In other words, the ways in which I have been using Delicious for four years have disappeared. 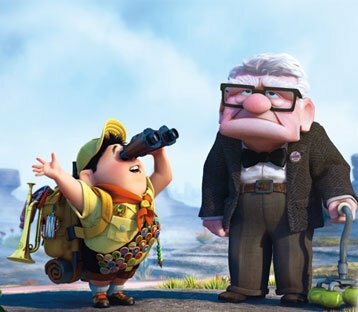 One of my favorite recent movies is “Up” … probably because I can identify with the old curmudgeon Carl Fredericksen. Towards the end of the movie, he is pushing his way through a crowd and he says words to the effect of “Sorry, old man coming through”. Maybe RSS is dying and friending / sharing are the new norms. It seems paradigms are shifting once again. The new owners are probably less interested in the old guys like me that stuck with the old product as they are in launching something hip that connects with the masses. So be it. But this old curmudgeon misses his old Delicious and so far has not found the energy to go back and stack what I used to have. Pile on and let me know what you think. Am I wrong? Hope we’ll have back this app soon.